"Team USA currently trade at [1.81] to Win the Ryder Cup, with Europe at [2.62] and the Tie at [13.5]." On world rankings, Thomas Bjorn's selections were justified. Okay, Cabrera Bello moved in front of Sergio after TPC Boston but they're separated by a single spot. Wallace and Pieters sit outside the world's top 50, thus were easier to be bumped out. By contrast, the lowest-ranked USA player heading to France is Tiger Woods at 26th! Bjorn certainly went for experience - the average age of the four wildcards is over 40 - but he looked at pedigree, as shaped by world rankings, too. Ian Poulter never traded higher than [1.10] on the exchange while, despite the injury doubts hanging over him, Henrik Stenson was matched at a peak of [1.50]. There was less certainty over Paul Casey, who was backed at a high of [2.0] while Sergio Garcia drifted to [3.0] the day after the Made In Denmark. Unlucky in the eyes of many, there was a real clamour for Matt Wallace to get a pick after that superb performance in Denmark, some on Twitter claiming he was a cert after banking his third win of the season with Bjorn watching on. The Englishman was matched at just [1.7] but the odds-on price didn't last long and he drifted to [4.0] on the morning of the announcement. Rafa Cabrera Bello also traded at odds-on, hitting as low as [1.9] when making a run at the Dells Technologies Championship on Monday night although he'd reverted back to [3.25] on Wednesday morning. Thomas Pieters, the other plausible candidate according to most, hit [2.52] on Tuesday but drifted from there. 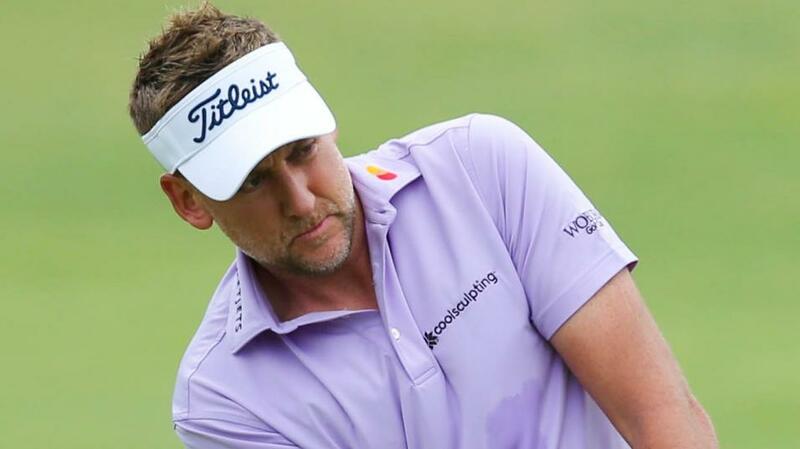 Poulter was the official no-brainer pick for Bjorn and his place was never in doubt. He's been the talisman for Europe in past Ryder Cups, inspiring the astonishing come-from-behind victory at Medinah in 2012 and he boasts 12 wins in 18 matches and an unbeaten singles record. Not only that, he's also shown some excellent form this year, booking his place at Augusta National with a brilliant and gutsy win in the Houston Open the Sunday before. How poor is Sergio's form? If some opinions are to be believed, he's shooting 80 every week and hasn't made a cut in 12 months. True, he crashed out of all four majors after 36 holes but he was T24 at the Wyndham Championship on his last start and surely Bjorn made a strong note of the Spaniard finishing tied eighth on his debut at Le Golf National in July. Wallace, by contrast, has missed both his cuts there. No-one would argue against a fit and healthy Stenson getting a pick but an elbow injury has hampered him for much of the season causing his withdrawal from July's Scottish Open and The Northern Trust. However, with over three more weeks to get it right and the Swede suggesting he's on the mend, Bjorn was happy to turn to one of his most valuable troops. Top six in two majors this year although he's not played at Le Golf National since T7 in 2012. By persuading the Englishman to rejoin the European Tour and make himself eligible again, Bjorn dropped a pretty big hint that he wanted Casey on the team. And if Europe do lose in Paris, the Dane would surely find it extremely difficult to explain why he'd left out the World No.16, especially one with a proven matchplay record. Bjorn was skipper at the EurAsia Cup earlier this year and paired Casey with Tommy Fleetwood in the opening match which they won 4&3. *Team USA currently trade at [1.81] to Win the Ryder Cup, with Europe at [2.62] and the Tie at [13.5].